If you like great museums, Vienna is the place for you. 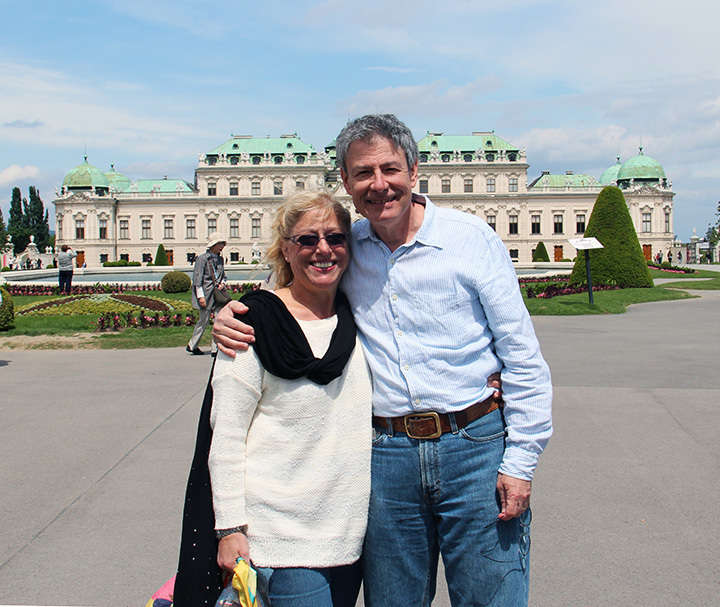 We visited a few, but were really blown away by the Upper Belvedere, one of two summer palaces of General Prince Eugene of Savoy (1663-1736). 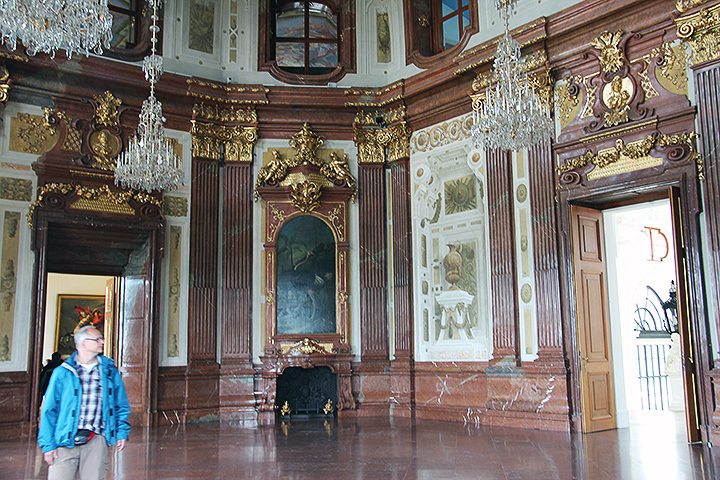 The palace itself is a gorgeous Baroque building, designed by the architect Johann Lukas von Hildebrandt (1668-1745), and built between 1712 and 1715. Today it’s a wonderful museum, with a great collection of paintings. Foremost is the museum’s wonderful collection of 22 Gustav Klimt works, including the truly fabulous painting, The Kiss. It’s really impressive in person and much larger than I imagined, almost 6′ square. According to the museum’s curator, Dr. Alfred Weidinger, the Belvedere purchased The Kiss for 25,000 crowns on the first day it was exhibited in 1908. That is today’s equivalent of approximately $250,000. Also according to Dr. Weidinger, no painting had been sold prior in Austria for more than 500 crowns. 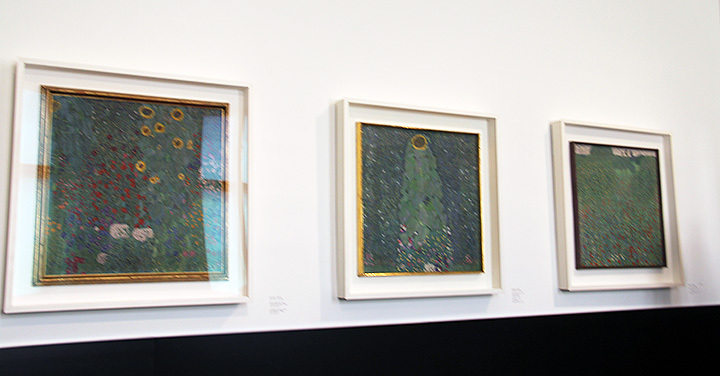 Klimt was certainly no starving artist. 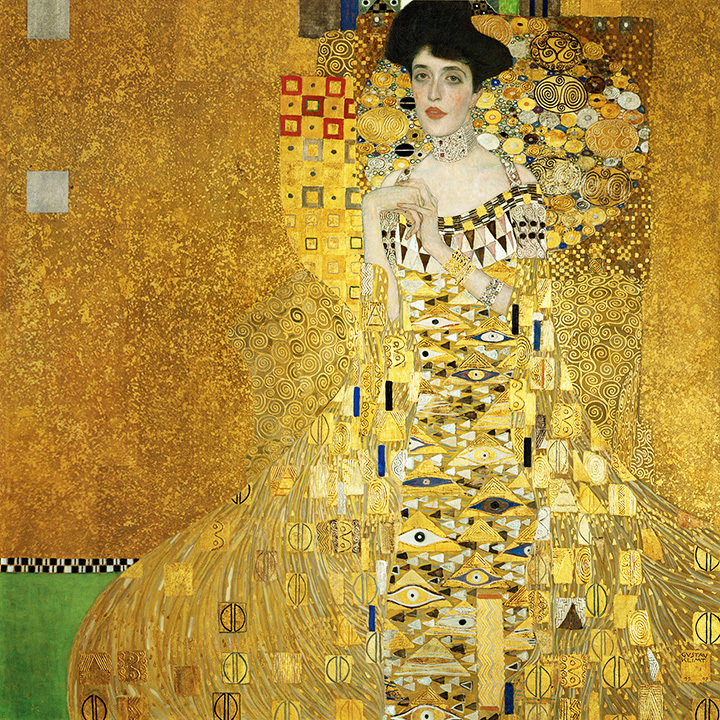 In 2006, Ronald Lauder (of Estee Lauder fame and fortune), paid $135 million for a 1907 Klimt portrait of Adele Bloch-Bauer, that was previously on display in the same room as The Kiss, at the Belvedere. Lauder purchased the painting from Mrs. Bloch-Bauer’s niece, Maria Altmann, who successfully sued the Austrian government to recover five Klimt paintings stolen by the Nazis from her aunt and uncle during WWII. 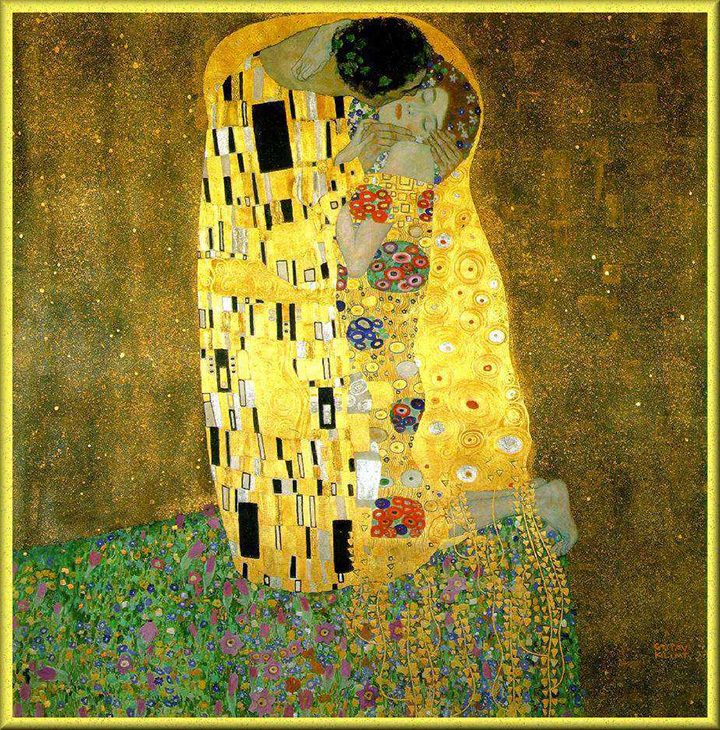 The price Lauder paid suggests that The Kiss is one of the most valuable works of art on the planet. We’ll never know for sure as the Belvedere will never sell it. 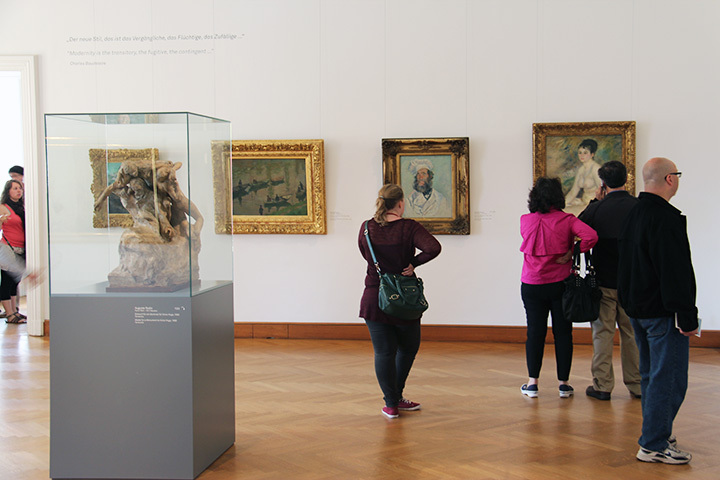 Other great artists are well-represented in the museum’s collection, including Claude Monet, Egon Schiele, Pierre-Auguste Renoir and Oskar Kokoschka, to name a few. The museum is not too large and not too small, just like Goldilocks porridge, but the collection reveals the Midas touch. My goal is to publish new posts twice a week — Mondays and Thursdays. However, if you don’t see a new post on Thursday, it’s because I was too busy, so please look for a new one the following Monday. We’ll be on vacation for most of May, so I may not be able to post anything until early June, but I’ll try. Guess what? 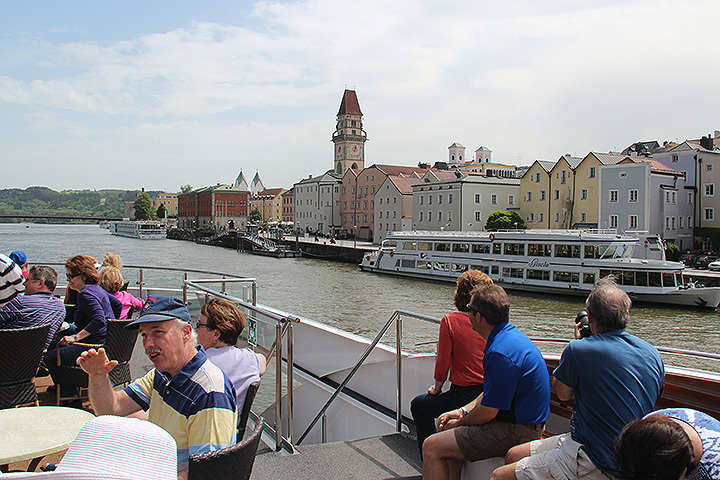 I was able to write today’s blog from a riverboat on the Danube River in Austria. It’s a little late, but better late than never. 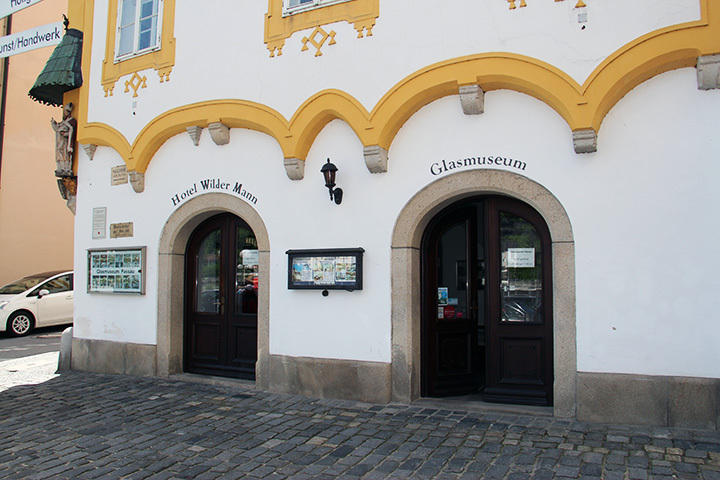 We spent a lovely morning in Passau, Germany, where we visited a very nice glass museum, called simply Glasmuseum Passau. 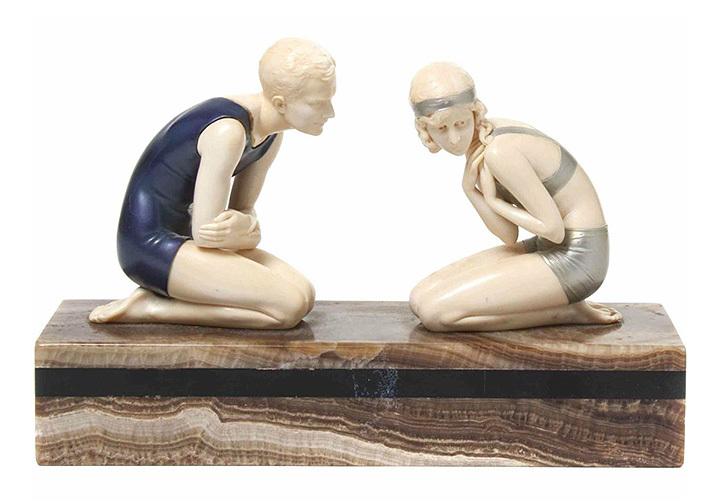 Georg Höltl assembled the collection, starting in 1959, when he bought his first piece. The collection contains a tremendous number of items, mainly from Bohemia and Silesia, from 1650 to 1950. The tour started on the fourth floor, and then proceeded floor by floor to the first floor. 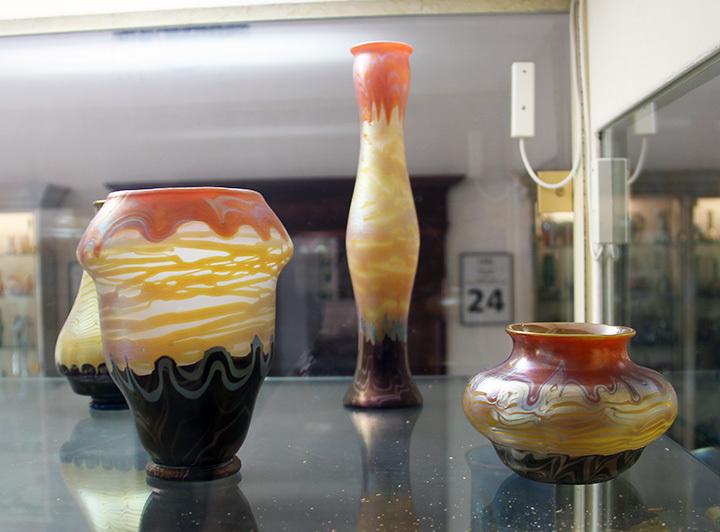 We didn’t know it, but the Jugendstil (Art Nouveau) glass was at the end of the tour, on the first floor. 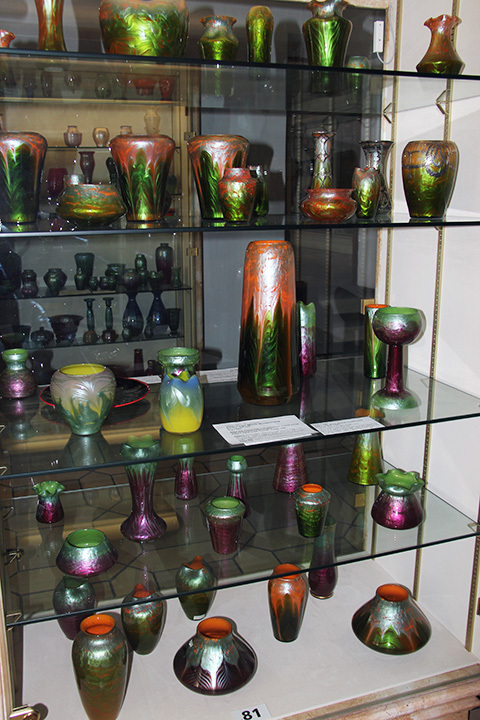 The best Jugendstil glass is by Loetz, of which there were many outstanding examples on display. 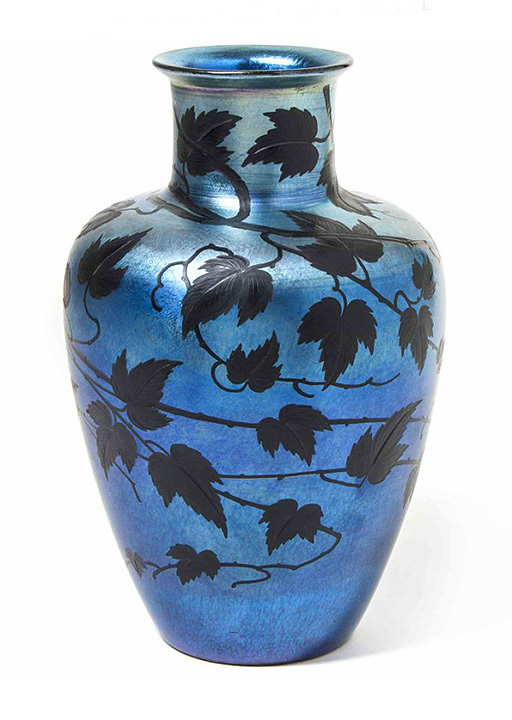 Loetz black bottom vases are rare and very desirable. There were quite a few examples in different shapes on display. The examples pictured above are a small part. 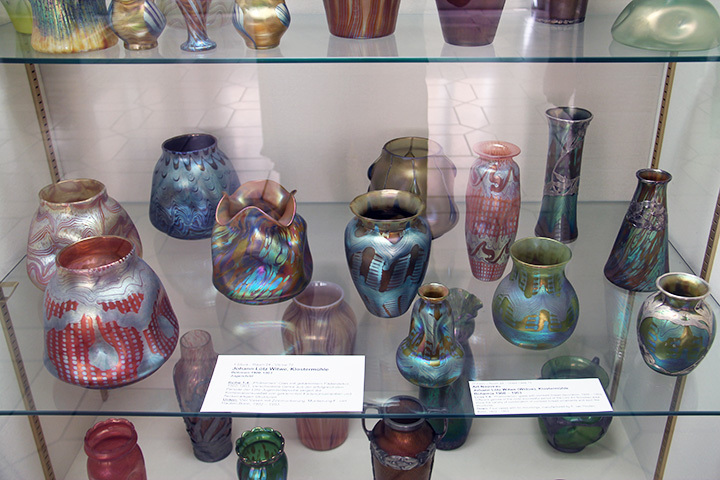 The vases pictured above are wonderful, especially the front ones on the left and right. People would pay a lot of money at auction if vases of this quality were to come to the auction block. 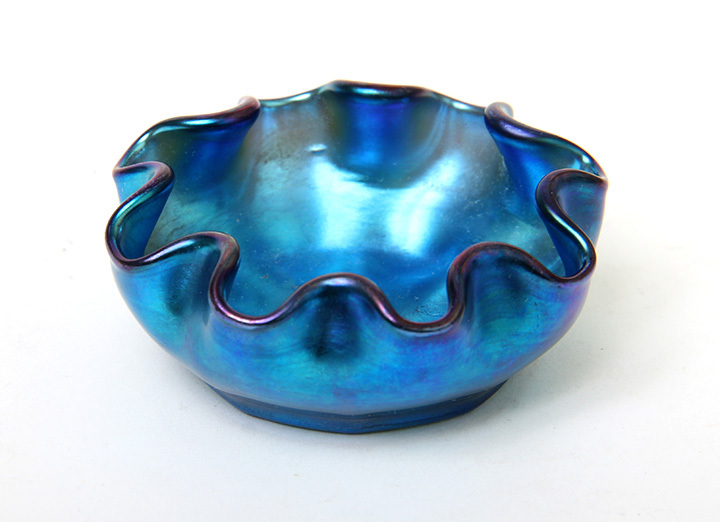 Loetz Titania vases have metallic designs under a layer of clear glass, which makes them paperweight vases. They’re very attractive, desirable and collectible. The cabinet pictured above was full of Titania vases and only part of the full selection of them. 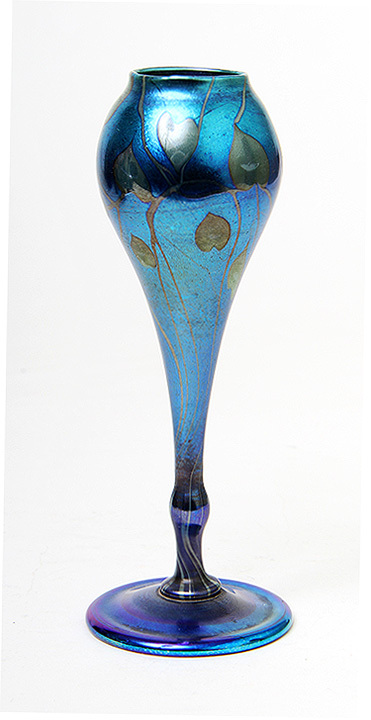 Tiffany Studios was in business for many years and manufactured thousands upon thousands of items, ranging from common to unique. As a dealer, I get to see many of the same items over and over again, so it’s a kick when I come across something new and exciting. Here are a few that come to mind. 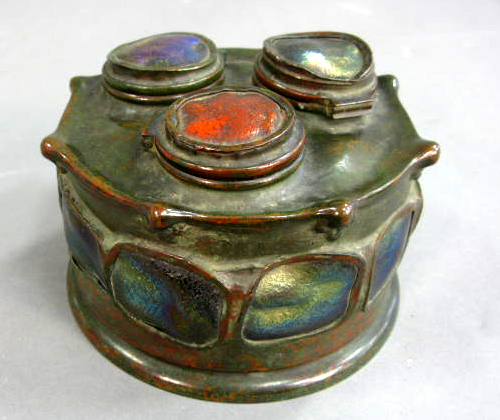 A very rare Tiffany Studios turtleback inkwell was sold at Nadeau’s Auction in Windsor, Connecticut on October 30, 2010 for $37,500, including buyer’s premium. I bid strongly for it, but was outbid by another dealer. I found out later which dealer, when I saw the inkwell for sale in another booth at the Original Miami Beach Antiques Show. My understanding was that it sold quickly at the show for approximately $75,000. 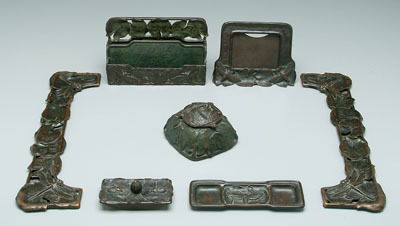 That doesn’t surprise me, because it was AMAZING, with different colored turtleback tile lids on each of the three inkwells, and a fabulous patina. I hope the present owner is enjoying it. 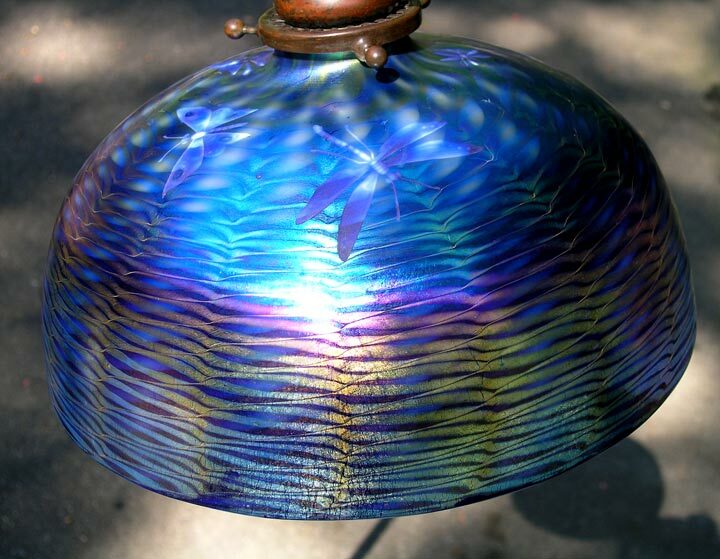 Blue Tiffany Favrile shades are much rarer than green or gold ones. The example pictured above was the single best example I have ever owned. 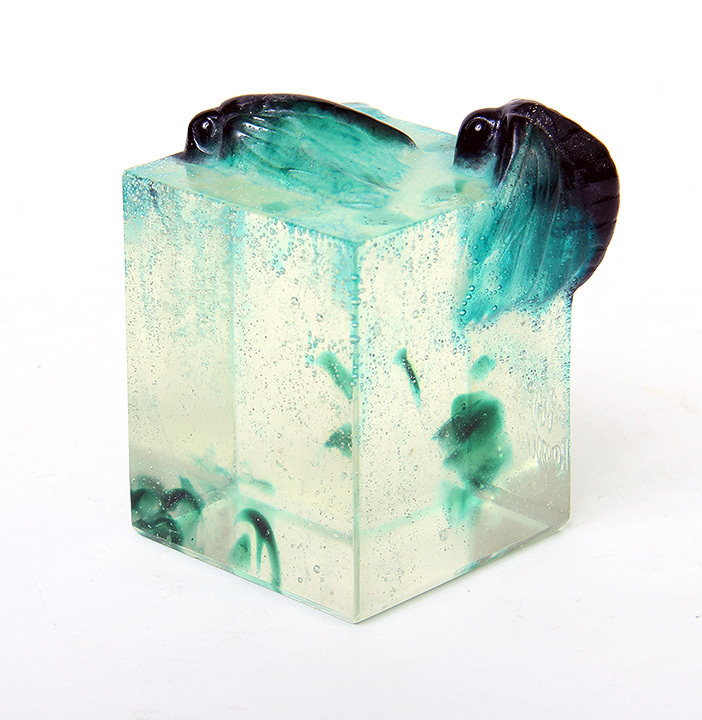 It had really great blue color and was covered with a plethora of beautifully carved insects — killer! I would loved to have owned the stamp box pictured above, but unfortunately I never did. 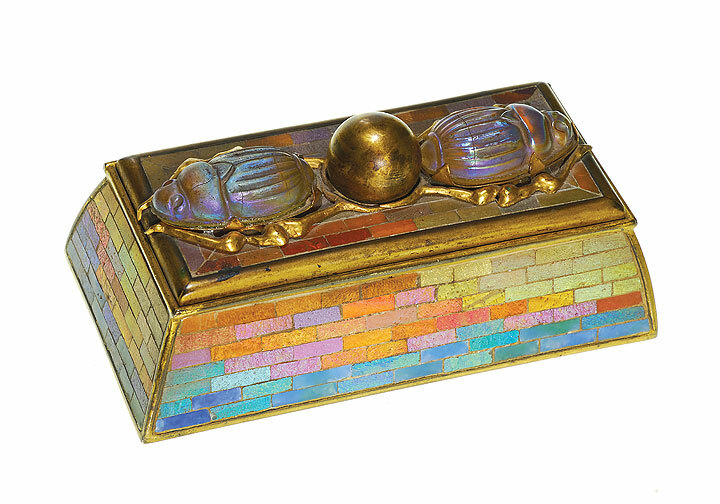 It’s a real rarity, with Favrile glass scarabs on the lid and mosaic tiles all around. What a beauty! 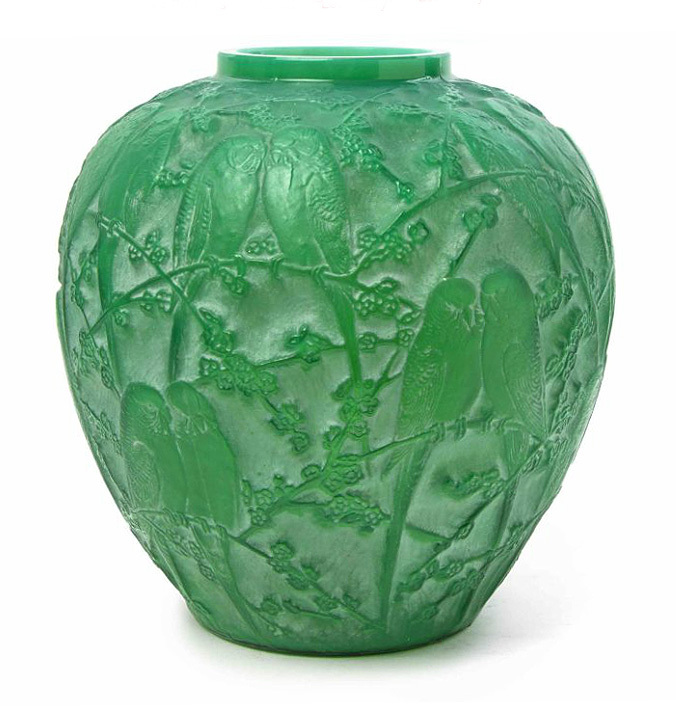 The Pond Lily pattern, with dragonflies, is the rarest of all Tiffany Studios desk sets. It almost never comes up for sale, so when it does, fireworks go off. The set pictured above was sold at Brunk Auctions on November 4, 2006, for over $200K, including the buyer’s premium. Wow! 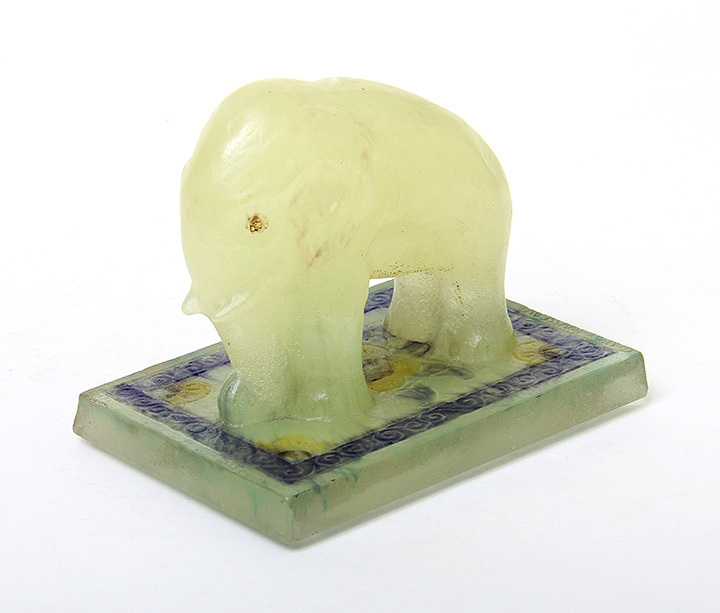 Heritage Auction held an Illustration Art Auction on April 11-12, 2013, with some exceptional results. 859 lots were offered, with sales totaling $2,852,875. Top lot of the auction was one of the two cover lots, #78299, Honeymoon, a Saturday Evening Post cover from July 17, 1926. It easily exceeded its high estimate of $120,000, to sell for $194,500, including buyer’s premium. 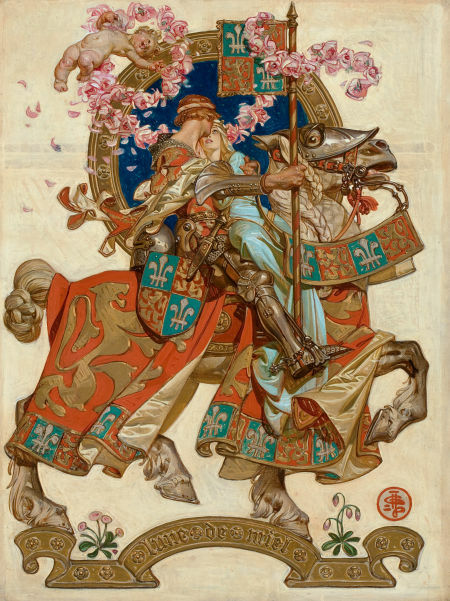 I understand why the Leyendecker was the top lot of the sale, but I don’t understand why a fairly modern, and not so special (in my opinion) painting by Patrick Nagel, should sell for $158,500. Entitled Her Seductive Look, the pre-sale estimate was $20,000 – $30,000. Personally I wouldn’t have paid $5,000, but my opinion didn’t matter. What mattered was that two wealthy, determined bidders butted heads and bid the price into the stratosphere. Congratulations to the lucky consignor. Gil Elvgren paintings were well-represented in the sale, so it was no surprise that the third highest lot was his. Lot #78081 was entitled A Near Miss (Right On Target). The final price of $104,500 easily exceeded the high estimate of $75,000. Other Elvgren paintings did well too, with lot #78080, Let’s Go Around Together, selling for $101,500. For the complete results of the sale, click here. You will have to sign in to see the prices.